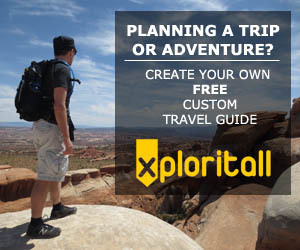 Xploritall attended the Outdoor Retailer Summer Show to check out outdoor, lifestyle, and travel products to be released in the upcoming Fall and Spring seasons. We'll be covering some of the more interesting things we saw at the show. Once we receive products to demo and get a chance to test them out, we'll be reviewing them as well. There are quite a few companies incorporating paracord into products as an emergency preparation option. Some begin as woven wristbands or necklaces that can be untied in a bind. Or tied into a bind. See what I did there? Maybe you will never need to use the paracord, but as with almost any piece of emergency gear, it is always nice to have. Especially if it has another use rather than just taking up valuable room and adding extra carrying weight. 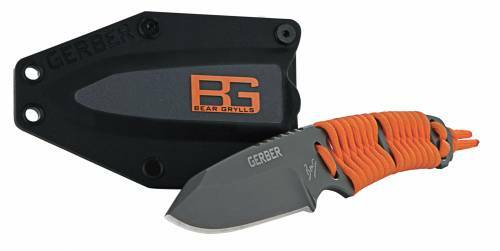 One product incorporating paracord is the Gerber Bear Grylls Paracord Fixed Blade Knife. It has 45 inches of cord wrapped into the handle, giving it almost a ninja sword look. The cord is bright orange, a color prominently featured on many of the other Bear Grylls signature items made by Gerber. The knife itself is 7 3/4 inches long (3 1/4" blade), and is intended to be a small, basic knife and survival blade. The fine-edge steel blade is made for precision cutting and slicing. The reversible sheath has a belt loop as well. Another application for paracord is as a fashion accessory. 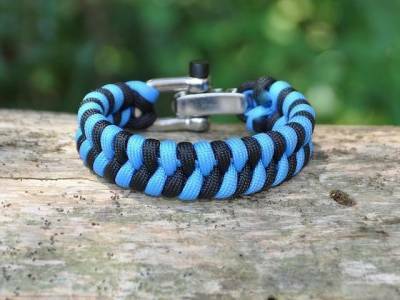 Survival Straps offers bracelets woven from several feet of 550# paracord. There are several shackle types to choose from, with an optional military spec breakaway pin. 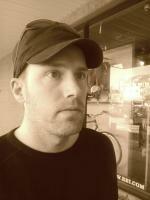 There are pre-design models, including many different licensed teams, companies, or charities. Or, custom order your own from 30,000 colors. Just in case you do have to unravel a Survival Strap product to use, they will replace it with a new one for free.